Now that I’ve gotten that terrible Jaws pun out of the way, General Motors has announced a recall for 312,000 more vehicles. Most prominent among this number is the Saturn Vue, of which GM has recalled 202,115 model year 2002-2004 vehicles for the ol’ faulty ignition switch. 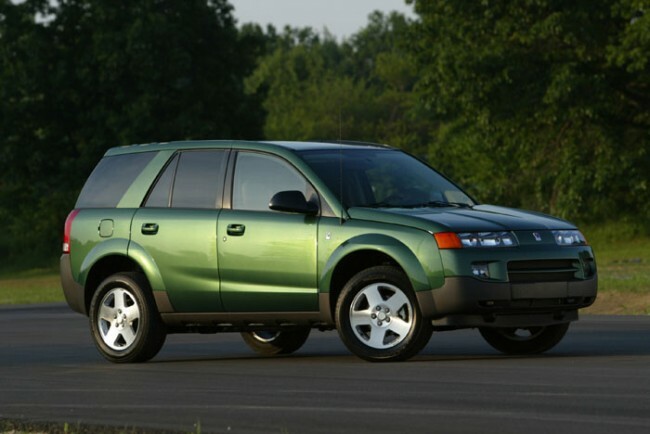 GM is reporting that two crashes and one injury are potentially related to the ignition switch problem in the Saturn Vue. 48,059 2013 Cadillac ATS and 2013 Buick Encore: front outboard lapbelt pretentioner cables that don’t lock correctly and could result in excessive occupant movement in the event of an accident. 1,968 2009-2010 Chevy Aveo and 2009 Pontiac G3: brake fluid issue that can lead to reduced braking performance over time. Surprisingly enough, GM has known about this one for a couple of years and has now deemed it recall-worthy. 1,919 2014 Chevy Sparks: left and right lower control arm bolts not tightened to specifications. Feel free to take a look at GM’s comprehensive recall chart, whose running total for vehicles recalled in the United States is now at 25,754,356 units.